I hated that this was the last day of our virtual reality bloggers convention, but what a party! The shows, the buffets, the getting kicked out of Caesars Palace for not paying. Where else can you go to get this kind of entertainment without going to Las Vegas? How about a weird, wild, and wacky site called “The Attic? Take Thursday night for example: we all went over to the Rio to see Penn & Teller. Poor Suze, http://suziland.net/2016/05/blogging-u/ she was so excited to be here, being that it was her first time visiting one of my conventions. Didn’t have the heart to tell her—it was everyone’s first time visiting one of my conventions. Then, she went and got invited up on stage by Penn & Teller, to help out in doing their new vanishing act—no doubt the highlight of her trip. Had to be disappointing for her when she found she was stepping out of that refrigerator back into her own kitchen. Her trip to Las Vegas, kaput, and her attendance at the convention—sadly over! Oh those crazy guys, is there nothing they won’t do for a laugh? But at least Suze didn’t have to buy a plane ticket back home. I was also thrilled that everyone else had a chance to pose for pictures with Penn & Teller in the lobby after the show. Tony https://tonyburgess1969.net/2016/05/07/keeping-up-with-the-bloggers/ Sheila https://humorcolumnistblog.com/2016/05/03/the-savings-place/ and Barb https://saneteachers.com/about/ all wanting to hang out with Elle https://knowleselle.wordpress.com/2016/05/06/hairdressers-and-coincidences/ after the show. That couldn’t have had anything to do with, Elle, being Teller’s assistant during the goldfish bowl trick (gifts were exchanged, promises made, autographs given), could it? Nah! I even let Teller and my youngest son pose for a picture with me. They were so thrilled! Why you couldn’t even wipe the smiles from their faces. Later, we ran into Mike https://mctuggle.com/2016/04/27/quote-of-the-day-33/ Sue https://stranscht.com/2016/05/01/the-zone/ and Susannah https://athingirl.com/2016/04/20/columbine-by-dave-cullen/ as they were signing autographs at Starbucks. I got to sign an autograph, too. Used my rubber name stamp on Priceless Joy’s autograph book. Seeing as I didn’t ask for permission to do so, I hope she doesn’t discover it until she gets home. Later, we ran into Jay https://assholeswatchingmovies.com/2016/05/06/captain-america-civil-war/ Moviejoltz https://moviejoltz.com/2016/04/26/flash-movie-review-a-hologram-for-the-king/ Vinnie https://vinnieh.wordpress.com/2016/04/21/the-stepford-wives/ and Movierob https://movierob.wordpress.com/2016/05/02/swiss-family-robinson-1960/ at the elevator in the hotel lobby, as they were discussing movies they hadn’t seen. Once upstairs I went next door to wake Beverly before going to bed. I had Beverly https://ghosttalkblog.com/ check our room for ghost. You can never be too careful. Then there was yesterday. While mingling on the convention floor, I almost felt like a REAL avatar. Almost. Until I ran into blogging buddy, Scott https://snoozingonthesofa.com/2016/05/05/he-aint-hungry-hes-my-brother/ and his two boys, Buster and Big Man. After that, I didn’t feel much like a REAL avatar anymore. REAL avatars don’t feel pain. Have you ever noticed how they’re always getting blown up, cut in half, or shot, and still they get right back up as if nothing ever happened. Well not me and my avatar. That slice of watermelon got me right between the eyes. I suppose it could have been worse, though. It could have been a whole watermelon! It wasn’t malicious and no melee broke out. Buster, Big Man, Scott and his wife were blameless. But I’m an idiot. Totally clueless as to there even being a watermelon toss at my own convention. I apparently forgot to tell myself about it, and so I walked right into it. Paul (my Canadian identical twin who looks nothing like me) https://captainsspeech.wordpress.com/2015/06/05/paulos-kitchen-soup/ helped me to my feet—which because of the force of the blow, I got separated from—and he immediately sprinkled salt on me. I thought it was for luck, but Paul told me it helps make the watermelon taste better. After all, he did bring the beer, pizza, and a moose. So who was I to disagree? Paulo, you’re the best! By the way, the pizza and beer tasted great. However, the moose took issue with becoming our dinner, so we shipped it back to the Toronto to roam the city. Wild and free, as it should be. It was also great, trying (breathlessly) to catch up with Van, https://vanbytheriver.wordpress.com/about/ who as it so happens, never slows down. She was on her way over to greet Donna https://yadadarcyyada.com/2016/04/22/wish-you-were-here/ and Anxious Mom https://thatswhatanxiousmomsaid.com/about/ probably to reminisce over some of my older posts. And looking across the convention hall I spied Aquileana, https://aquileana.wordpress.com/2016/04/14/%e2%96%bahistory-the-greek-theatre-literature-aristotles-poetics-theory-of-tragedy%e2%ad%90%ef%b8%8f/ who has a beautiful sight on Greek Mythology and who was holding court with a number of other good folks. Maja from http://travelingrockhopper.com/about/ Jojo https://theonehandedclap.wordpress.com/about/a-bit-about-lil-ol-me/ and Ally Bean https://thespectacledbean.com/2016/05/05/ally-ally-quite-contrary/ all having a great time. I took a sip… and pow! I went down like a ton of bricks. Staggering to my feet, I was greeted by my friends, John, https://leonardcartoons.com/2016/05/04/work-party-196/ and Caz, https://cazthecomicstrip.com/2016/04/30/the-birthday-list/ they had been discussing the merits of comics and thought I’d be perfect for being in one. “Can’t hold your liquor, huh?” They asked. “I can hold my liquor fine it’s the punch I’m having trouble with. What in the world is in this stuff?” I asked. That’s when they suggested I check out the punch bowl. 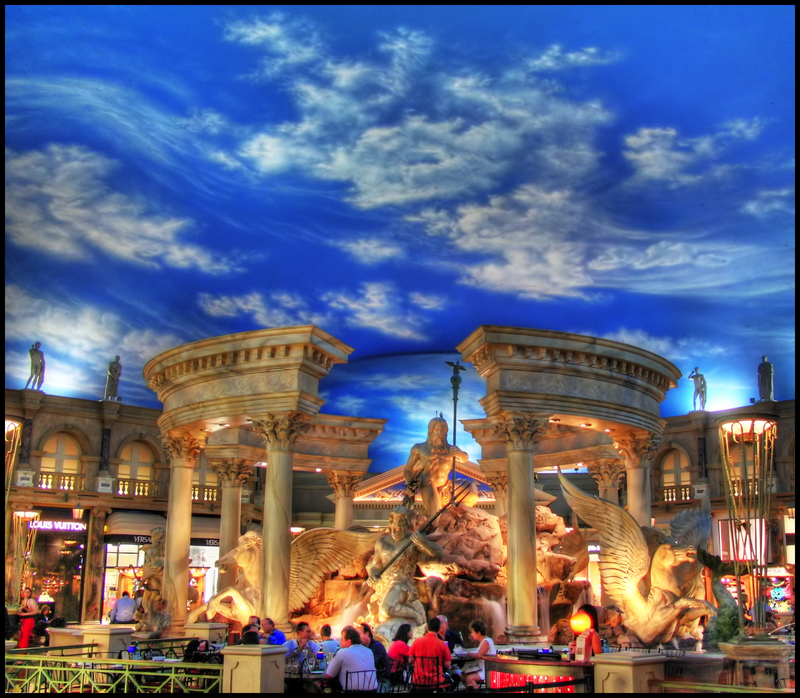 I found more than a few of you lying around there surrounding The Lonely Author https://thelonelyauthorblog.wordpress.com/about/ who was getting a Birdseye view of the ceiling at Caesars Palace. Which I found rather odd, since we were all celebrating in the Bellagio. “Having a good time ladies?” At first, I was met with puzzled looks. Then they turned to one another and smiled—while still laying flat on their backs—and raised their glasses in a toast to me… followed by lots of giggling. I’d call that a big yes. Then I got trampled by Peggy from, https://leggypeggy.com/2016/04/23/cienfuegos-and-the-one-night-stand/ Jan, https://jttwissel.com/2016/05/01/out-of-print/ Elaine, https://joyful2beeblogs.com/about-joyful2bee/ Juls, https://theindecisiveeejit.wordpress.com/2016/05/03/keeping-you-in-the-loop/ and Sandi, https://flipflopseveryday.wordpress.com/about/ as they raced by for that punch bowl. Leaving me to wonder if I hadn’t started an AA meeting instead of a bloggers convention. Still, what a hoot! 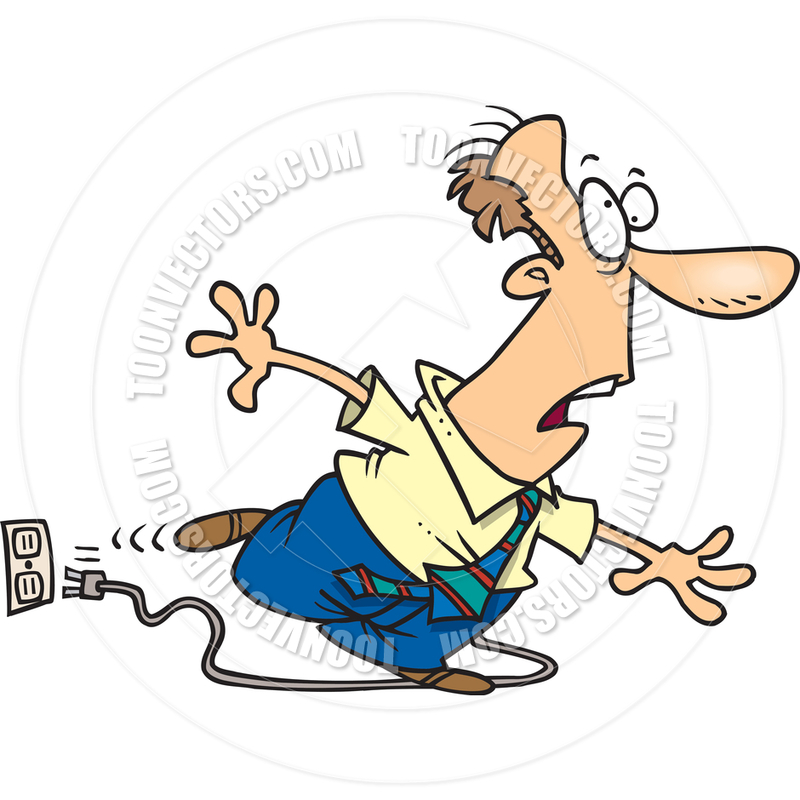 After virtually shaking hands with as many of you as I possibly could (this time), I tripped over the cord to my virtual reality machine, and unplugged the entire convention! Our youngest daughter’s blog https://meliinthecity.wordpress.com/2016/05/05/so-you-think-you-want/ has helped to remind me that, not only has my blog become an oversight in the last month, but so have all of yours. That means, I’ve neglected visiting your blogs, for far too long. But not for much longer, as the In My Cluttered Attic road tour is about to begin. So see you soon folks. I’m so very glad you survived the trip though you must have ended up quite sticky from the watermelon and whatnot. Thank you for the shout out. And what a fantastic post. Make sure it doesn’t fall off. Well a movie is another matter. Wow, what an extravaganza. Thanks for including me! Thanks for taking us to Vegas, and in such good company too! Darn! This is so much fun I hate to see it end! 😀 😀 LOL!! Thanks for the mention!! I think your right Van, we’ve all been there. Obviously, we love writing, and a blog provides everyone that opportunity. And I think everyone hopes their site has something of interest to offer to others, and once they find that audience, there is a feeling to that we should post on a regular basis. But, we also go and read the blogs of our friends, and doing that also suffers when we take a break. So being regular is important, but those breaks are too. Anyway, I was pretty excited about being able to cleverly include you and everyone else in such a humorous way. Thank you Van for that compliment. ““I can hold my liquor fine, it’s the punch I’m having trouble with. What in the world is in that stuff?” I asked.” – What a dialogue… 😀 loving it! Mani, I’m so happy I got you to laugh! And it was a delight that you could virtually make it. OMG… what a party!!! Next time stay a little and have some hanging around and ceiling gazing with us!!! Finally made it to your hilarious post, Paul! LOL! Where are you taking all these ideas? That just brought me to the glorious idea: What about a Blogger Bash in Vegas? What you wrote sounds like a trailer to how this could be like! LOL! Lisa of LIfeOfAnElPasoWoman would love to organize a Blogger Bash in the US but needs helpers! At least you would be a great inspiration for sure… haha!!! Well that last post did take a little effort. But just imagine what kind of nap I’d need if it took a LOT of effort. Why I might turn into Rip Van Winkle! You are very clever, thoughtful, and a very good blogger to have incorporated the sites and names of all of us bloggers to promote us. You are a special kind of blogger. Hugs and thank you. What happens in Vegas . . . gets posted all over the Internet. Thanks for the party, Buddy. A virtual reality bloggers convention that resembles an AA meeting? Sounds like lawyers. Hey, if the powers that be make us take a bar, they shouldn’t be surprised when we all drink. glad you decided to stop by and say hi during ur marathon at the convention. I can now rest at ease finally knowing who that person was who actually saw Ishtar. Got the popcorn and jujubees and soft drink of ur choice on tap waiting for u when u stop by… the door is always open for u Paul! Thank you Rob, I love your reviews. I recently read something somewhere (can’t quite remember where, but that’s Paulzeimers for ya) where they talked to Elaine May. Anyway, long story short, the consensus was that it wasn’t all that bad a film. But I still wonder…those who said that, did we see the same film? There’s always Hawaii and fun drinks with umbrellas! Great creative post. Very thoguhtful of you to include so many. Thank you. You are funny, and with this you demonstrated a very creative side. Thanks for the mention! We made the right decision on sending the moose home. He was getting a bit homesick anyway. If we’re identical twins, does that mean Teller also took a photo with me? Awesome! Can’t wait to tell my friends! You got it, Paul. Yes, I felt bad for your moose too (he didn’t have a handkerchief), and was looking mighty low…or as low as he could look, seeing as he had mighty big antlers. 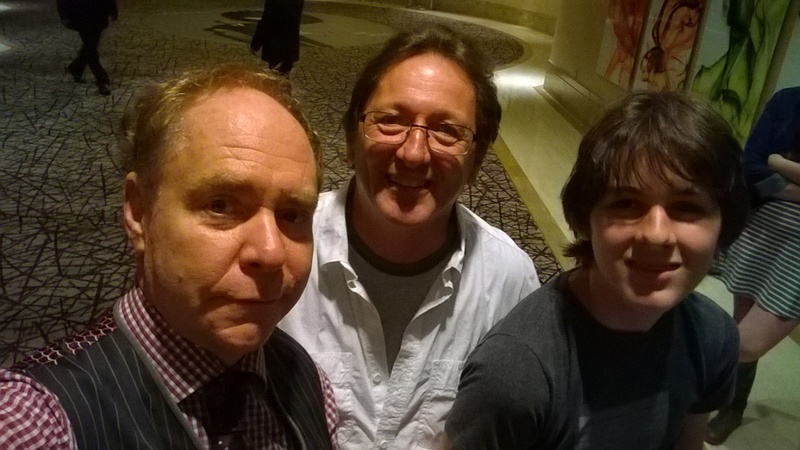 You know, because we are identical twin names, it’s just possible that you were in a photo with Teller! But sadly, I’ll bet the moose snagged the photo (since he didn’t get to pose with Teller, and was jealous) just before returning home to Toronto. There, he’ll likely try to blend in with some Mounties, never to be seen again, except possibly by some picture taking tourist from Japan…who I guarantee, will snap his picture. I’m not sure how I missed this post, Paul. I guess that’s just what happens to someone when they pass out flat out drunk from helping themselves to too much of the convention beer. Now that I’ve come round again, though, I can see many great bloggers here. Indeed, I can see two of each of them. By the way, I’m incredibly impressed that you were able to have your photograph taken with Teller. I’ll bet he had endless funny stories to tell (mostly through doodles, mime and interpretative dance). Hey, two of everyone! That means our attendance must have been bigger than I thought. I wonder if that entitles us to a rebate from Caesars? Oh Teller is great at all those things, we just couldn’t get him to shut-up. All he wanted to do was talk, and talk, and talk, and that was after we took him to the swanky MacDonald’s on the strip. He saved his best trick for us while eating there. He talked with his mouth full of Big Mac… AND A COKE! The man’s genius I tell ya! I can imagine Teller is quite the chatterbox. The man just never lets up. I’ll bet he’d make a great after dinner speaker too. You know, it’s such a pity he never had the chance to meet Harpo Marx. Oh, the stories they’d have swapped. I’ll bet you’re right about Penn. I’d often wondered why he did all the talking when Teller was available and willing to explain everything at enormous length. I mean even his name says it all. You know, I’d never thought about that before. Even his name is subliminal! As for Harpo and Teller never meeting to share stories, your probably right. It’s for the best.